We’ve worked side by side with Frank Poot for 25 years now and he leads our sourcing activities in Europe. This Fall Frank and I connected to discuss Champagne De Saint Gall, which will arrive at our warehouse (gasp) this week!!! JM: As most of you know we’ve been particularly strong in bubbles over the years here at Grape Expectations, always with a deep Champagne book in particular… We now represent Champagne Moutard in much of the US market and we just love all the creative things Jean Benoit Hery is doing in the Côte des Bar. We represent Champagne Henriot now in both Washington and Oregon and those wines are spectacular these days. Frank, you’ve brought us De Saint Gall for all of the US which is so exciting. 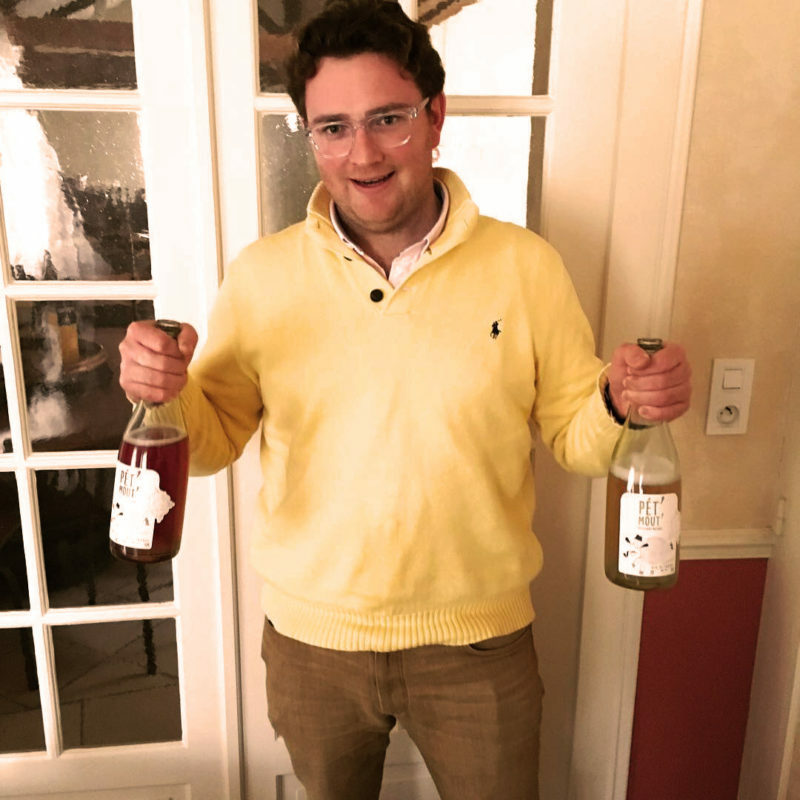 I wanted to touch base, have you brief us on your experience in Champagne, on where Champagne is at right now overall as a region, and explain how De Saint Gall fits into that. FP: I started working with Champagne in the mid-seventies and I’ve always found the region very, very interesting because Champagne has things a lot of areas don’t have. In general people know very little about Champagne. To put this in perspective let’s take a step back for those who aren’t totally familiar with the unique structure of Champagne as an industry. Roughly speaking there are about 80,000 acres of vineyards spread out over a very large area that from North to South is probably close to 100 miles and from East to West is probably 50 miles. It’s a big area. The vineyards are just scattered around all over – They are in just over 300 villages and towns. And most of the vineyards, by far the most, are owned by growers and not by the big houses. Look at even a massive group like LVMH who is known to own more vineyard land than almost anyone, their total holdings only fill a sliver of their total production needs. JM: The larger houses, the negotiants, are completely dependent on these growers. Right? Without the growers, they have nothing. The only exception I can think of would be Roederer who I think farms something like 600 acres. FP: Ok. Because the region is so big in terms of square mileage and you have all these little towns and villages, what happened was each town would usually have what Icall a press house or pressing station, and that would typically be legally organized as a cooperative, or “co-op.” A bunch of growers would put it together themselves. In the old days you couldn’t transport the grapes in in crates over long distances. It was complicated. So what they did, they pressed their grapes together locally and then the juice, the must, was shipped and sold to the large houses. That’s how it worked and that’s to a large extent how it still works. JM: So you have just over 300 individual villages in the region, so there must be a ton of these press houses. JM: And I’m sure that worked well, since then they had a value added material, a finished wine that could be stored, a finished wine which was a more profitable material than unfermented must in terms of what they could get by selling to the big houses, right? FP: Yes. This worked quite well for farmers. What happened next was that we saw the creation of what you now call a “super co-op.” A “super co-op” was a larger co-op formed to bring a lot of these smaller coops together. They would take all the wine, all the juice from these small initial pressing stations and they would take it and bring it into one large facility to ferment it, make wine out of it, and do whatever they want to do, which, which to this day usually means selling most the finished wine to the large houses. But remember at this point you now had farmers, organized in large groups, starting to make wine themselves. Naturally they started to market wine themselves, although still very few of them have been noticeably successful. The best known “super co-op” probably is Centre Vinicole who produces the brand Nicolas Feuillatte. FP: Yes and they are by far the biggest “super co-op” in terms of size – They are the sum of 80 smaller co-ops. There are some other super co-ops – You have one in Chateau Thierry, they produce the brand Pannier. There’s also Union Auboise, a super co-op based down South in the Aube who produces the brand Devaux. Then there’s Jacquart. Does that ring a bell? JM: Yeah, absolutely. And this is where De Saint Gall comes in? FP: Precisely. This leaves us with the super co-op of Union Champagne, better known as the brand De Saint Gall, they are larger than all of the aforementioned “super co-ops” with the exception of Center Vinicole Nicolas Feuilatte, but what is interesting about De Saint Gall is that they pretty much control the entire high end sector of the Champagne market. FP: It is absolutely amazing. 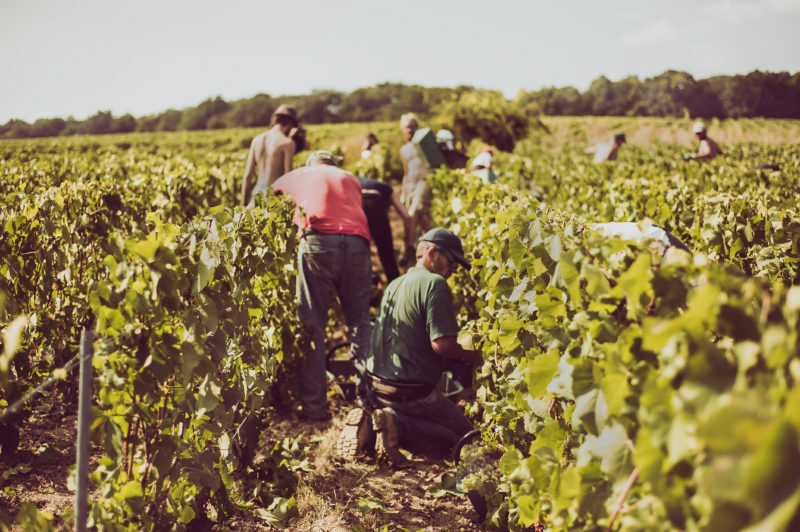 There is nothing like it in Champagne and they have grower/members in all of the Grand Cru villages…I believe there are about twelve of them. They have dozens of vineyards and a dozens of members in each of those villages. If you take the most famous of the Grand Cru villages it is probably Mesnil, a place revered for its Chardonnay. I believe De Saint Gall owns and farms around 50 percent of the total appellation of Mesnil. That’s insane. It’s absolutely insane. FP: Most of the houses who are buying wine from, De Saint Gall, you know, their buyers would give their left testicle to and get more Premier Cru juice. JM: (laughter) You’re talking about, you’re talking about these leading producers … you’re talking about many of the famous names ? FP: Yes every one of them. If you want high end Champagne, if you want to make a super-premium Champagne, you cannot make it without Grand Cru. You cannot make it without Grand Cru Chardonnay. And who farms, ferments, and supplies the majority of that? It’s De Saint Gall. 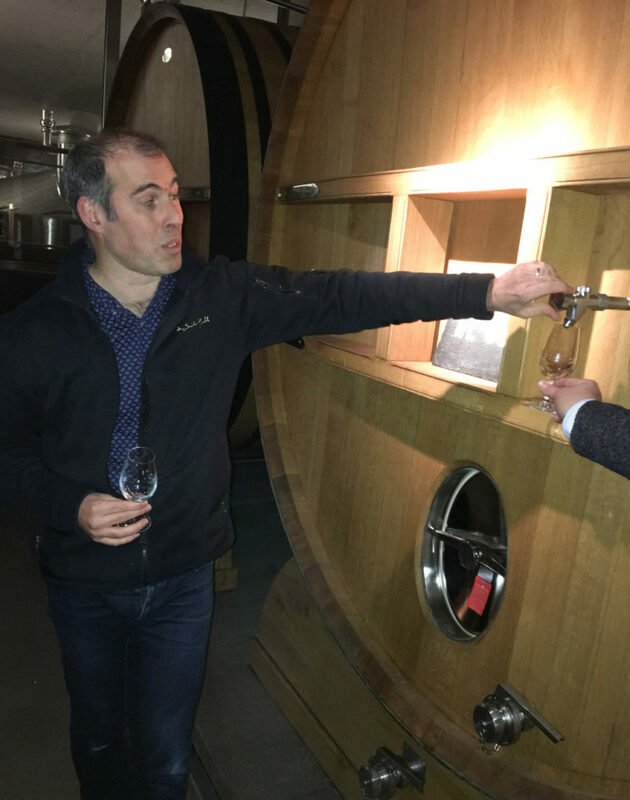 FP: So they control the market with Premier Cru and dominate the market in Grand Cru, and over time they have invested in holding reserve wines. So, now, in itself that is pretty easy. In Champagne, with the high acidity present, it is easy to store wine if you have the right equipment, the right tanks. 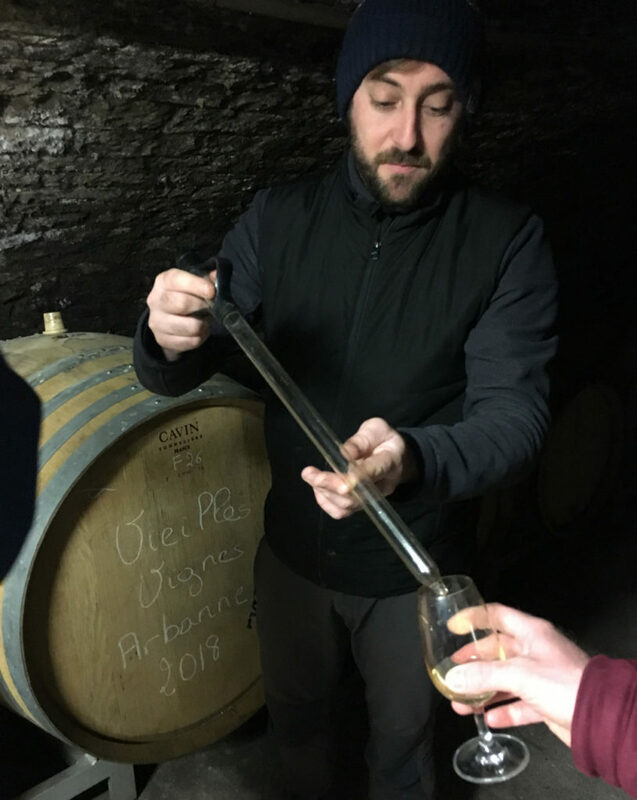 De Saint Gall has reserve wine for sale in tank going back to the 2002 vintage, and this is basically all Premier Cru and Grand Cru Cote des Blancs Chardonnay. So a house that is looking for some older Grand Cru Chardonnay for its blends will almost always be calling De Saint Gall. Because as I said, you need great base wines present in the blend of any super premium Champagne, you also need some of this base wine to have age. I would say De Saint Gall is sitting on easily a couple of million liters of reserve wines. FP: Those wines are like gold because no one else has this sort of stock and it’s actually pretty amazing to see how they are stored. It’s really an amazing sight when you have rows and rows of polished seamless tanks all full of Grand Cru and Premier Cru chardonnay. So that is what they do at De Saint Gall and that’s what they’ve always done. They are the premier supplier of high end wines to the Champagne trade. JM: All these houses. You’re talking all these, all these, you know, all the “luxury” cuvees that everybody knows in the market. A decent chunk of what’s in each of those bottles is coming out of this facility from these growers. FP: It depends on the wine, but essentially yes. And the higher you go in terms of premium, the more you need De Saint Gall to provide you with it and the more this is the case. Because you couldn’t find enough. I mean, as I said, to make high level Champagne you need Grand Cru material from the Cotes de Blancs. Grand Cru Cotes de Blancs Chardonnay is a rare animal to begin with, you know, it is the rarest of the rare, and they have two thirds of all of it. So you know they’re sitting pretty and, obviously they know it. JM: They must be killing it. Why then, at this moment, are they making a push to start promoting and selling their own wines? FP: Well, you have to be honest here. The co-ops’ farmers are very good vineyard managers. Their winery facilities and winemakers are on par with all the elite names. But historically they have always been weak as far as marketing goes. They are rather new to it. JM: This makes sense considering we have farmers electing the cooperatives leadership and marketing in an industry dominated by some of the most prolific marketers on the planet. FP: The identity of Champagne, I mean for the buyer, for the mainstream consumer is with the big names. Sure. They are a little antsy, thinking hey these guys are getting really, really powerful. You have to keep in mind that a group like LVMH, they control about 25 percent of the market. That’s a lot. LVMH – The group is so big that they probably couldn’t buy other houses because they’d end up creating an issue with the EU competition authorities. So they are very big. And so that’s why De Saint Gall is now starting to become more professional about their own business about their own sales because obviously, you know, they have the product and they are some of the few who have the money to do it because you know, producing champagne is a very capital intensive business. You pretty much work with the most expensive grapes in the world, which you have to pay for cash on the barrel head, and then you have to keep this stuff for three years before you can sell it. That’s pretty capital intensive. Um, so, for De Saint Gall anyway, for them that is not an issue. They have the product, they have the capital, logistically they have the people to do it, and they’ve now hired amazing people to handle the sales and marketing side of the business. JM: Yes – Incredible people with gorgeous packaging to match. De Saint Gall is obviously a new brand for everyone and will take some work for sommeliers and retailers, but we know the market is there. The RM versus NM debate is essentially over (i.e. nowadays people simply want great wine regardless of whether or not it comes from a grower, a cooperative, or a house) and I’ve never seen the sort of ‘trading up’ with Champagne the way we are seeing it now. Wine lovers want to experience more and they’re happy to spend $60, $70, $100, even $150 on elite examples from the region. FP: And more often than not this now means Blanc de Blancs Champagne specifically. We are beginning to see Blanc de Blancs Champagne everywhere now, it is moving off lists and shelves, and at high prices. A typical wellmade Blanc de Blancs Champagne has a lot of nuance and it generally contains grapes coming from many different areas rather than one singular plot. Of course the best grapes come from the Cotes de Blancs where you have, you know, villages like Mesnil, like Avize, like Cramant, like Oger. So we’re seeing a lot of good things happening there. And Blanc de Blancs has always been the favorite choice in Champagne itself. You ask a guy in Champagne what he drinks and chances are he’ll say Blanc de Blancs. It’s dry. It’s light. It can be dry to the point of austere. It’s not as easy to make as say an ordinary blend (nowhere to hide), but you can get stunning results with it. Farming techniques have come a long way in recent years and for the houses there’s a lot of good wine that you can purchase, and use, for Blanc de Blancs. Nowadays a lot of people are making a Blanc de Blancs as opposed to the past when they’d blend their Chardonnay with everything else. The rise of interest in Blanc de Blancs production and consumption is probably what I would say at the moment is the biggest thing happening in Champagne. JM: And this is where De Saint Gall fits in with perfect timing as they own more Grand Cru vineyard land in the Cote des Blancs than everyone else combined, own a similar proportion of Premier Cru Cote des Blancs vineyard land, and specialize in classical, terroir-driven Premier Cru and Grand Cru Blanc de Blancs bottlings. FP: Exactly. Everyone needs to taste this stuff. Compare it, compare what the price tag is, and with that people will inevitably load their stores, restaurant lists, and personal cellars. And beyond the obvious quality is really a very interesting story, completely unique to the industry. I find it all very exciting and it’s a tremendous opportunity for everyone involved.